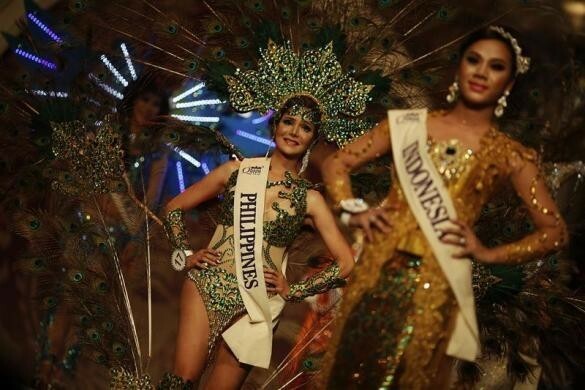 Kevin Balot of Philippines won the prestigious Miss International Queen 2012 title at a beauty pageant for transgenders and transvestites on Nov 2, in Pattaya, Thailand. 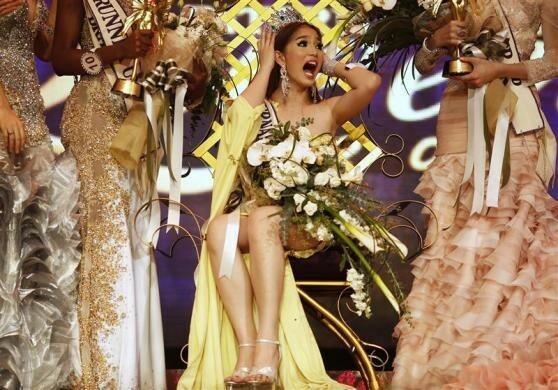 The 20-year-old nursing graduate from Philippines also won the Miss Photogenic title. Jessika Simoes of Brazil went to become the first runner-up and Panvilas Mongkol was adjusted to the second runner-up position. Other award winning contestants include Sunny Dee-Lite of the US for Best Evening Gown, Beni Tukishima of Japan for The Angel Talent Competition, Noah Herrera of Venezuela for Miss Congeniality and Yuki Tachibana of Japan for Miss National Costume. Matricia Mae Centino of Guam was honoured with the Miss Perfect Skin title by Asoke Skin Hospital. Promoted by Tiffany's Show Pattaya Co. Ltd, Miss International Queen is a competition exclusively for transgenders and transvestites and has turned into a big event over the years with contestants from several countries participating to win the coveted title. According to Miss International Queen official website, the beauty pageant was organized with an aim to "offer an international competition for transgender and transsexual from around the world, to provide an opportunity for transgender/transsexual to be more accepted in today's world, to create human rights awareness among international communities and to build friendship and exchange ideas among international lesbian, gay, bisexual and transgender/transsexual communities."